Charlotte Motor Speedway is widely regarded as an iconic motorsports venue and a venerable mainstay in the illustrious history of North Carolina sports. The world-class racing campus - which also includes The Dirt Track at Charlotte and zMAX Dragway - is heralded as a trailblazer in sports entertainment. 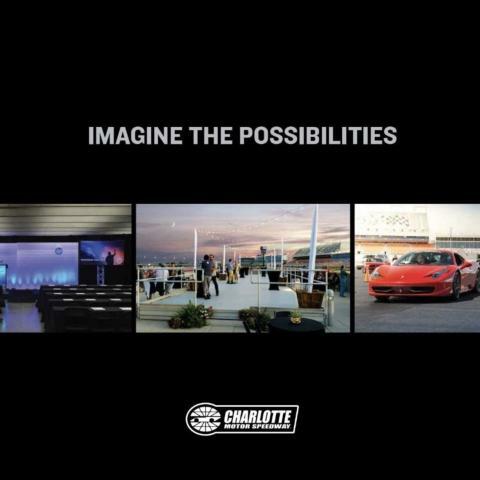 Featuring wheel-to-wheel racing action as well as spectacular pre-race entertainment and the best in amenities for both fans and corporate partners, Charlotte Motor Speedway offers an experience like no other. Hundreds of thousands of race fans make Charlotte Motor Speedway their home away from home at premier events, including: the Coca-Cola 600; the Monster Energy NASCAR All-Star Race; the Bank of America ROVAL™ 400; the World of Outlaws World Finals and the NGK Spark Plugs NHRA Four-Wide Nationals.